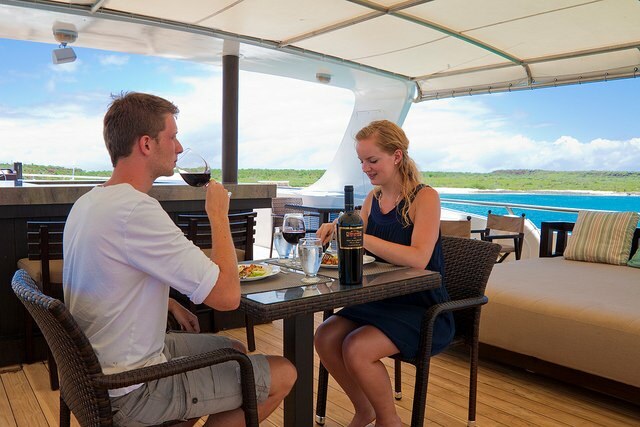 Our yacht combines excellence, privacy and comfort in the marvellous setting of the Galapagos Islands. 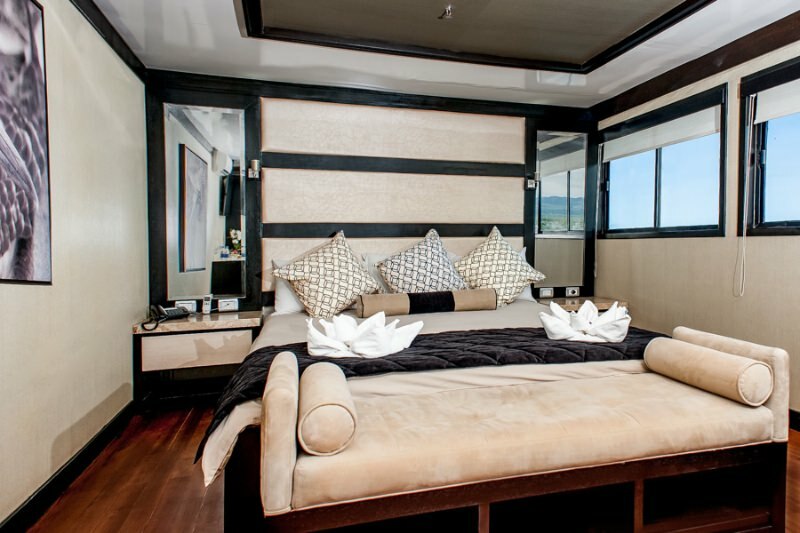 The M/YGrand Odyssey has a capacity for 16 passengers, it features 8 spacious Galapagos & matrimonial suites (25maprox) and 1 Odyssey suite (35m 2 approx) equipped with panoramic windows to enjoy the wonderful landscapes ofthe islands, private bathroom, hot/cold water, airconditioning with independent controls, minibar and TV. Twin bedsor one faux king bed and connected suites for families.Local and International dishes especially designed by our chef, will be served in the cosy atmosphere of our dining room. 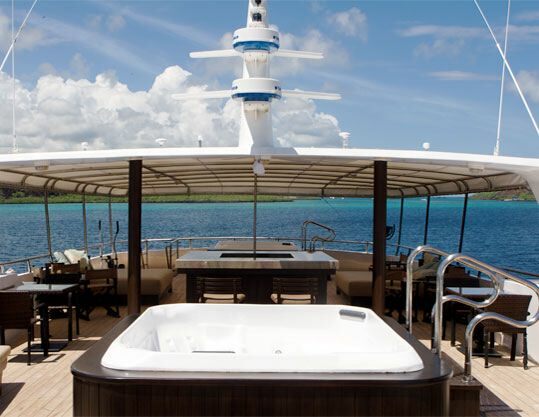 Our yacht offers a large solariumwith shaded and uncovered areas, two Jacuzzis and comfortable sun loungers. Social areas include saloon, mini library and video library and a play zone for kids (during family departures). Snorkeling equipment andkayaks will be available without any extra charge. The Galapagos Grand Odyssey offers avid travellers the opportunity to experience close encounters with the unique wildlife of the Galapagos Islands. We invite you to join us on board our Exclusive First Class yacht and admire the wonders of evolution as you enjoy all the creature comforts of home topped off with world class service. The best way for a traveller to make the most of their Galapagos vacation time is to cruise around the Islands and experience several visitor sites each day. 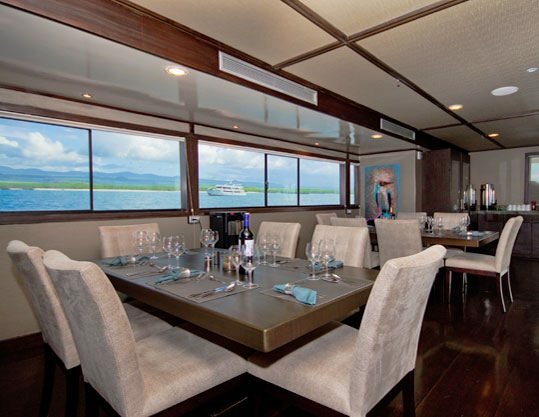 We offer one of the best planned itineraries on board the best built liveaboard yacht. Our shore excursions have been crafted with care and allow passengers to see up close the Galapagos animals and how they have adapted to the harsh island conditions. On your Galapagos vacation we also make sure that survival of the fittest is observed and not experienced... this is why we designed the M/Y Galapagos Grand Odyssey, a exclusive first class yacht that represents a true evolution in the private yacht cruise industry. At Galapagos Grand Odyssey we put in over 100 years of combined experience in the design of our premium yacht �M/Y Galapagos Grand Odyssey�. You will not find a private yacht in the Galapagos Islands that offers more space, comfort or service on a 16 passenger boat. 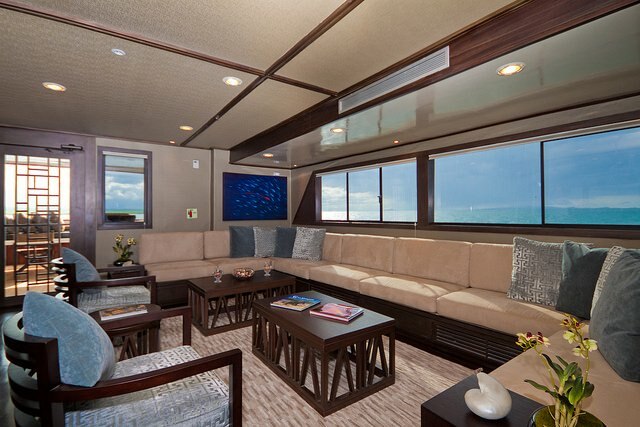 Amenities on board include a jacuzzi, al fresco dining area, spacious sun and shade decks, combined with elegant interiors and a cabin layout that allows for picture windows that can be opened for fresh air flow. A great Galapagos vacation itinerary that includes the main wildlife highlights what the Galapagos Islands have to offer. A variety of visitor sites including volcano hikes, Island trails, mangrove forests, turtle breeding farms, research centers, marine sites and more. 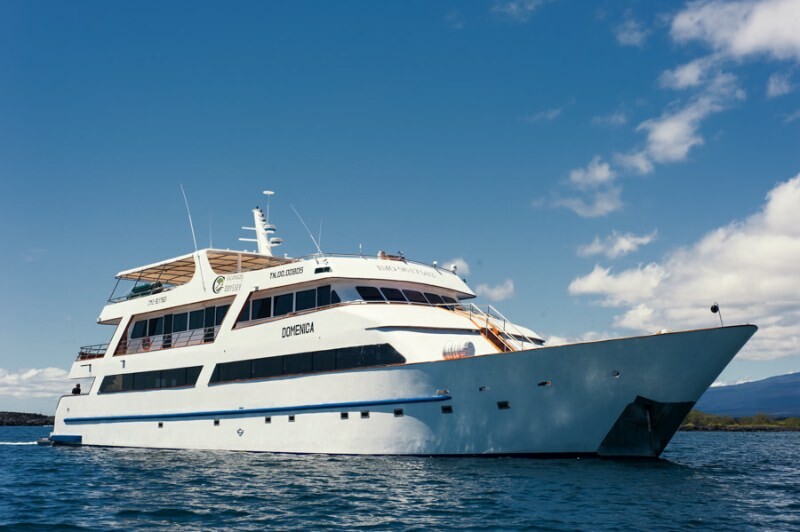 A cruise on board the M/Y Galapagos Grand Odyssey will allow visitors to explore the both land animals and marine fauna of the Galapagos archipelago. Activities you can enjoy are trekking, horseback riding, snorkeling, scuba diving, beachcombing amongst others. or one faux king bed and connected suites for families.